En la siguiente imagen se puede ver un código de barras y unas manos aferrándose a dos de ellas. Sin embargo, para mi, esta imagen da mucho de que hablar. El código de barras, deja explicito el hecho de que hay alguien encerrado detrás de este. Y que las lineas juegan el rol de los barrotes de una cárcel. El código de barras que aparece en el 100% de los productos de origen industrial, representando entonces, el mercado y el consumo que estos implican. 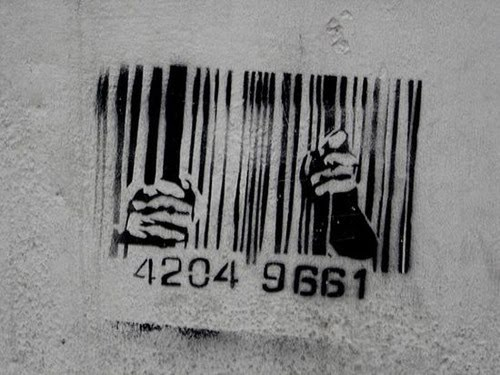 Inconscientemente nos encontramos atrapados bajo el capitalismo, en la actualidad, la obtención de los recursos satisfactorios es imposible sin consumir. Es por eso que día a día nos vemos atrapados bajo el consumismo. Convirtiéndonos en presos del capitalismo y completamente dependientes a este. Al igual que el individuo detrás del código de barras. Hoy en día, vivimos en una sociedad que consume cada vez mas cosas. El vídeo "Isla de Flores" muestra como es el proceso por el cual la gente llega a comprar cosas en los supermercados y que gana cada uno que forma parte del proceso o de llevar los productos o de los que los compra. Un ejemplo es una señora que gracias a su trabajo se puede dar el lujo de comprar alimentos para que su familia pueda comer. 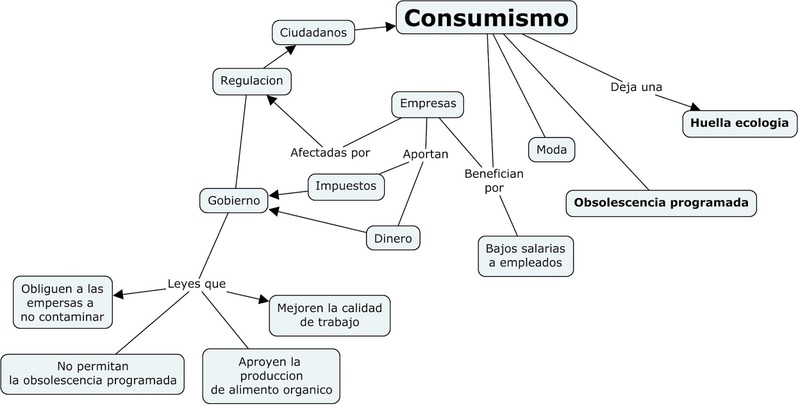 Así, es como puede satisfacer sus necesidades básicas, en este caso la comida. Sin embargo, ella tira a la basura una verdura que no considera no apto para comerse. Acá el consumismo muestra que al comprar cosas de mas, estas terminan en la basura porque compramos por comprar. Cuando el video continua, se muestra que el tomate termina en esta Isla de Flores, un basurero, donde las cosas orgánicas se las dan como alimento a los chanchos. Los alimentos que no son ni aceptables para estos animales son los que un grupo de gente, con bajos recursos que no logran satisfacer sus necesidades básicas, busca alimentos para comer. El video logra demostrar que todos los humanos tenemos cerebro desarrollado, pulgares oponibles y libertad, pero todos tenemos diferente capacidad para obtener necesidades básicas y comida saludable (que no tenga probablemente enfermedades y sea encontrada en un basurero). Esta claro que el sistema político y social marca una gran diferencia económica que causa estas cosas. Ademas, el video de "Juanito Laguna" muestra una idea parecida al video anterior. 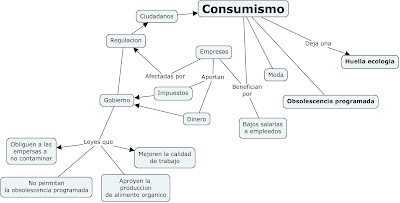 Acá sale el tema de Obsolescencia Programada, el acto de desechar o utilizar poco los productos y así aumentar el consumismo. Este video muestra como el famoso artista Antonio Berni, crea un personaje con basura que encuentra en la calle. Él crea un objeto de consumo que va en contra de la ilusión de la belleza, reflejando un mundo de miseria. Los dos videos muestran como el consumismo crea residuos constantemente, que la gente que no tiene ingresos tiene que o vivir cerca de esos lugares o alimentarse de esos intolerables y asquerosos lugares. En vez de consumir tantas cosas, podríamos invertir esa plata en ayudar a estas personas. In the subject thinking skills we were asked to watch the movie "The chorus" and then to anser the following questions. Alcohols are consumed world-widely, often with no consciousness. I will analyse common alcohols, how they are produced and how there is chemistry in the processes. To measure how "strong" alcohols are we use alcohol by volume (abbreviated as ABV) which is a standard measure of how much alcohol is contained in a given volume of an alcoholic beverage. It is defined as the number of millilitres (mL) of pure ethanol present in 100 mL of solution at 20 °C. The bigger the percentage, more likely the intoxication will be, in less time and less quantity. 0.03%-0.12%: typically causes an overall improvement in mood and possible euphoria, increased self-confidence and sociability, decreased anxiety, a flushed, red appearance in the face and impaired judgment and fine muscle coordination. 0.09% to 0.25%: causes lethargy, sedation, balance problems and blurred vision. 0.18% to 0.30% causes confusion, impaired speech, dizziness and vomiting. 0.25% to 0.40% causes stupor, unconsciousness, vomiting and respiratory depression(potentially life-threatening). 0.35% to 0.80% causes unconsciousness, life-threatening respiratory depression and possiblyfatal alcohol poisoning. Also, alcohol acts as a magnesium diuretic, causes a prompt, vigorous increase in the urinary excretion of magnesium and other electrolytes. The drinks I'll be explaining are: Vodka, Beer, Tequila and Whisky. Vodka is an alcoholic beverage distilled at a high proof from a fermented vegetable or grain mash. Proof is a measurement of the alcohol content. Each degree of proof equals a half percent of alcohol. Thus, 100 proof is that which contains 50% alcohol, 90 proof contains 45%, and so on. The master distiller is in charge of distilling the vodka and directing its filtration, which includes the removal of the "foreshots", "heads" and "tails". These components of the distillate contain flavor compounds such as ethyl acetate and ethyl lactate (heads) as well as the fusel oils (tails) that impact the usually desired clean taste of vodka. Through numerous rounds of distillation, or the use of a fractionating still, the taste is modified and clarity is increased. 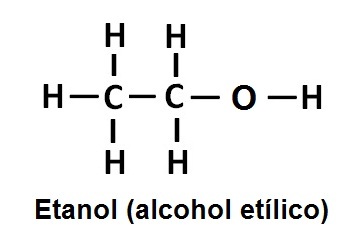 Repeated distillation of vodka will make its ethanol level much higher than is acceptable to most end users, whether legislation determines strength limits or not. Depending on the distillation method and the technique of the stillmaster, the final filtered and distilled vodka may have as much as 95–96% ethanol. As such, most vodka is diluted with water prior to bottling. Most whiskies are sold at or near an alcoholic strength of 40% ABV, which is the statutory minimum in some countries – although the strength can vary, and cask-strength whisky may have as much as twice that alcohol percentage. A still for making whisky is usually made of copper, since it removes sulfur-based compounds from the alcohol that would make it unpleasant to drink. Modern stills are made of stainless steel with copper innards (piping, for example, will be lined with copper along with copper plate inlays along still walls). The simplest standard distillation apparatus is commonly known as a pot still, consisting of a single heated chamber and a vessel to collect purified alcohol. Tequila is most often made at a 38% alcohol content for domestic consumption, but can be produced between 31 and 55% alcohol content. Per U.S law, tequila must contain at least 40% alcohol to be sold in the United States. After harvesting, the piñas are transported to ovens where they are slowly baked to break down their complex fructans into simple fructoses. Then, the baked piñas are either shredded or mashed under a large stone wheel called a tahona. The pulp fiber, or bagazo. left behind is often reused as compost or animal feed, but can even be burnt as fuel or processed into paper. Some producers like to add a small amount of bagazo back into their fermentation tanks for a stronger agave flavor in the final product. The strength of modern beer is usually around 4% to 6% ABV, although it may vary between 0.5% and 20%, with some breweries creating examples of 40% ABV and above. Malting: The brewing process starts with grains. The grains are harvested and processed through a process of heating, drying out and cracking. The main goal of malting is to isolate the enzymes needed for brewing so that it’s ready for the next step. Mashing: The grains then go through a process known as mashing, in which they are steeped in hot, but not boiling, water for about an hour. This activates enzymes in the grains that cause it to break down and release its sugars. Once this is all done you drain the water from the mash which is now full of sugar from the grains. This sticky, sweet liquid is called wort, which is unmade beer. Boiling: The wort is boiled for about an hour while hops and other spices are added several times. Worts provide bitterness to balance out all the sugar in the wort and provide flavor. They also act as a natural preservative, which is what they were first used for. Fermentation: Once the hour long boil is over the wort is cooled, strained and filtered. It’s then put in a fermenting vessel and yeast is added to it. At this point the brewing is complete and the fermentation begins. The beer is stored for a couple of weeks at room temperature or many many weeks at cold temperatures while the yeast works its fermentation. The yeast eats up all that sugar in the wort and liberates CO2 and alcohol as waste products. Bottling and Aging: You’ve now got alcoholic beer, however it is still flat and non carbonated. The flat beer is bottled, at which time it is either artificially carbonated like a soda, or if it’s going to be ‘bottle conditioned’ it’s allowed to naturally carbonate via the CO2 the yeast produces. Por que el humano se cree que tiene todo el derecho de destruir hábitats y apropiarse de ellos? Porque es una especie egoísta que no piensa en el resto de las especies, en que al hacer esto, toda otra especie de animal que se sitúe en este hábitat quedaría extinto o se vería obligado a moverse a otro lugar en el cual probablemente no posea los mismos recursos que tenia en su hábitat natural, lo cual dificultaría su posibilidad de sobrevivir. El humano no solo daña a los animales al moverlos de su hábitat. Sino que también los caza por placer, por diversión o por el consumo. La velocidad con la que el humano esta haciendo esto comienza a generar una seria preocupación ya que cada día son mas las especies que se extinguen. Le mois dernier, je suis allée à Hawaii pour le marriage de mon ami français. Je suis partie de Paris le vendredi 17 août et je suis arrivée à Hawaii le samedi 18 août. Je suis arrive tard à l' eglise pour le cerémonie. âpres nous sommes arrives sur le lieu de la fête dans la plage. La fete etait magnifique .Mon ami était trés joli et content. La cuisine locale était extraordinaire. Pendant le diner nous avions des animations de plus, âpres nous avons danse jusqu'a à trois hs du matin. Le marriage a été excelent et je suis tres contente.